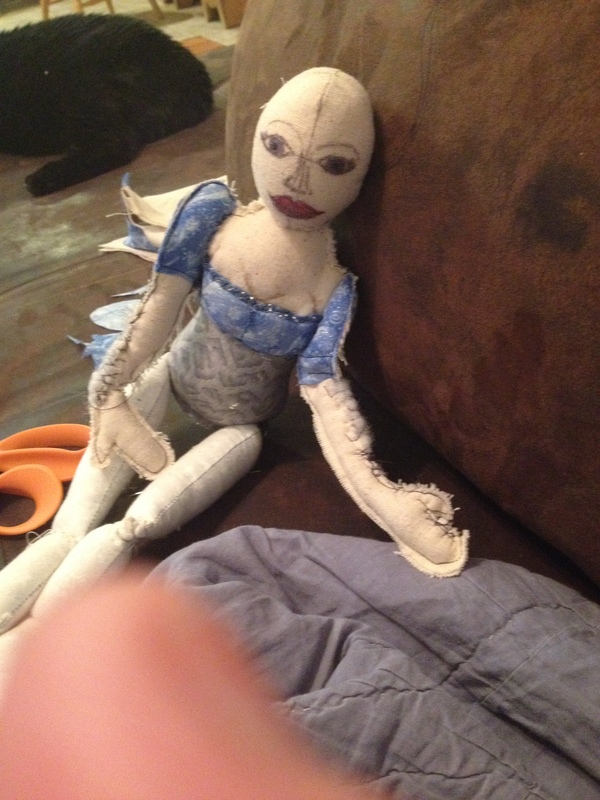 This is my new art doll I am working on. My new sewing machine is so wonderful! I started making a doll, but suddenly got a the urge to make curtains and pillows for my living room so now that I have finished with that. I started back on the doll again. It is so much fun just being able to let go and be “weird” once in a while and make weird stuff. I haven’t named her yet, but her personality is starting to come out to me a little at a time and I think I am learning her “back story” with each stitch. I can’t wait to share all of her with you, but here is what a picture of her so far. I am working on her hair today and will start on her dress. Then, will I get to be really unique and creative with her, once I get the basics all on.